Home > Facebook, Historical Williamsburg, social media, Williamsburg	> Like Us On Facebook! 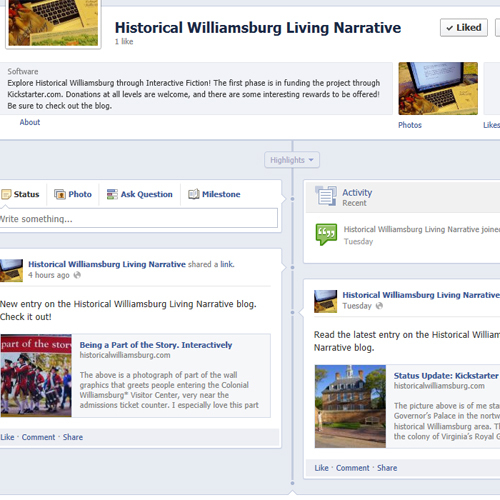 In keeping with the strategy that social media is one of the ways to grow awareness, we have created a page for the Historical Williamsburg Living Narrative on Facebook. Be sure to go to our page and “Like” us on Facebook now!